The Dominican Sisters Cabra extended their Ministry to Latin America 45 years ago. 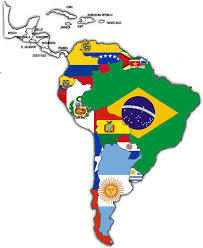 A number of Sisters are based across the regions of Argentina, Bolivia and Brazil. 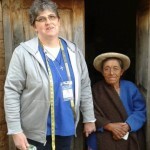 The Sisters provide leadership and training through education in the communities where they work. In Argentina, the Sisters are based in the regions of Buenos Aires, Santa Fe and Entre Rios. In Entre Rios, our Sisters teach in state schools in the town and are also engaged in pastoral work in the outskirts of Victoria. The Sisters there are involved in peace education, in educating on Aids prevention and also run a bible group. In 2014, the three coordination teams involved in Peace Work are undertaking an anti-bullying campaign in schools. In Rosario in Santa Fe, our Sisters work in peace education, in the care of disabled persons and in the Acorn Life Aids Prevention Project. This project is an awareness building programme in schools with a set of visits and workshops in schools that commenced in April 2013. This will be rolled out across a number of areas where our Sisters have had or currently have a presence including Termas, Parana, Victoria, Buenos Aires. Local women are already engaged in this work and will join forces from July 2014 onwards. The Sisters are also involved in community work and in working with the elderly, praying and sharing thoughts. In Moreno in Buenos Aires, our Sisters teach and care for vulnerable young people. They work in the areas of peace education and second chance education, giving children in primary and secondary schools new opportunities to learn. Arco Iris, meaning Rainbow is the second chance education initiative. A new small centre is brimming over with students of all ages who are availing of the current national policy of inclusion through education. One of our Sisters also coordinates and works in a centre for disabled persons and recently the Sisters have set up and have involved local leaders with JAC . Jovenes abriendo caminos. Twelve young students who are the first in their families to reach university level, are getting expert guidance, a place to study, and vital support to ensure that they complete their courses successfully. The dropout rate is very high among the disadvantaged, about 90 percent! The Dominican lay Associates have a strong presence in Latin America and our Sisters also are involved in and coordinate these meetings. Currently, groups are travelling into the interior of Entre Rios to mission in places where there is no priest. The Dominican Sisters Cabra extended their Mission to Brazil in 1991. 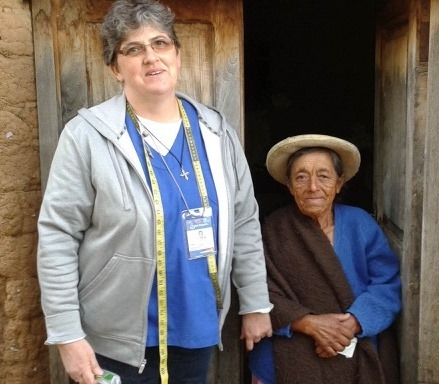 Sr Bridget O’Driscoll OP has worked for 21 years in a local community of 13,000 people in the state of San Paulo. Here, she works with young pregnant mothers, educating them in the area of health and development. She regularly visits up to 40 families, working with children up to the age of six years to assist with their advancement. She recognises the hardship in this community, especially for women and young children in poverty, with the lack of adequate housing. She works closely with women to provide basic assistance in varied ways. She regularly distributes food baskets in the local community and gives Bible classes, assisting individuals in the formation of lay ministry. The Sisters have had a presence in Bolivia since 1998. Here they are engaged in a number of programmes including a Peace Education Programme that trains teachers and community leaders in conflict resolution and prevention of violent behaviours, and a Pastoral Programme for Human Mobility. A recent initiative has meant that a night shelter can be staffed in Tarija, on diocesan premises in the centre of the city, and can provide accommodation for up to 12 people. The service is directed to those who are migrants, or who are escaping from human traffickers, and who have nowhere to stay. The Sisters also assist with school going children who may be at risk, whether from family violence, poverty, alcoholism, and the team of Guias offers playtime, remedial teaching, cultural activities such as dance and music. Up to 2012, one sister was engaged in parish work in a new parish just being set up on the outskirts of the city.